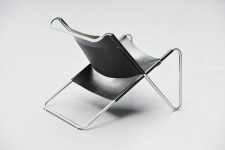 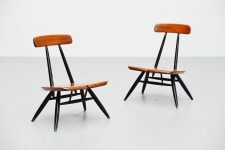 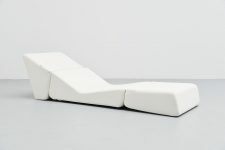 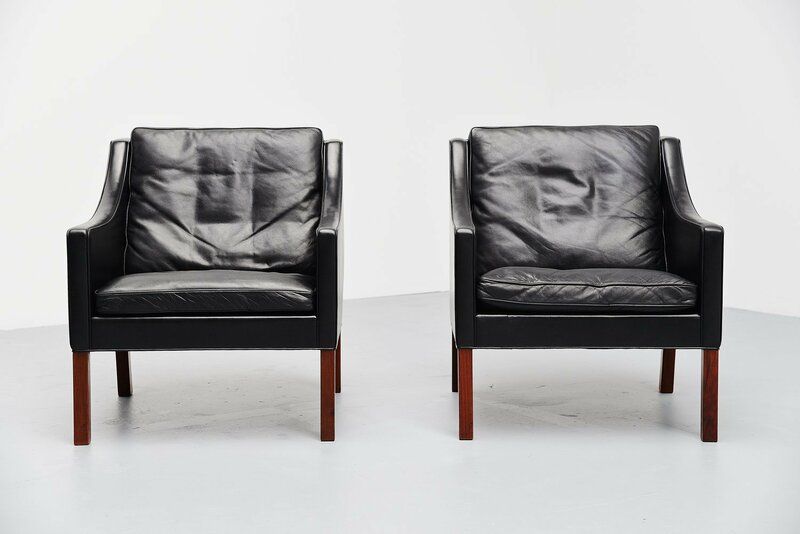 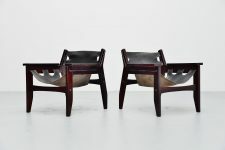 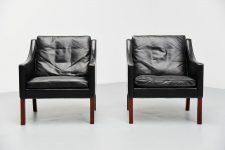 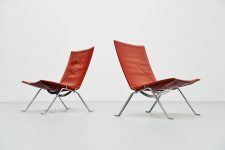 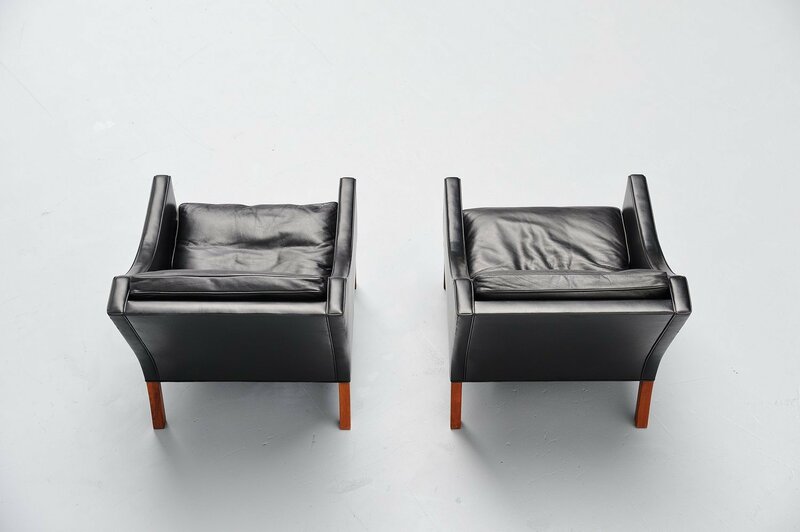 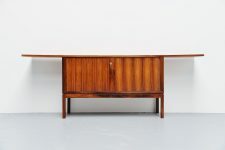 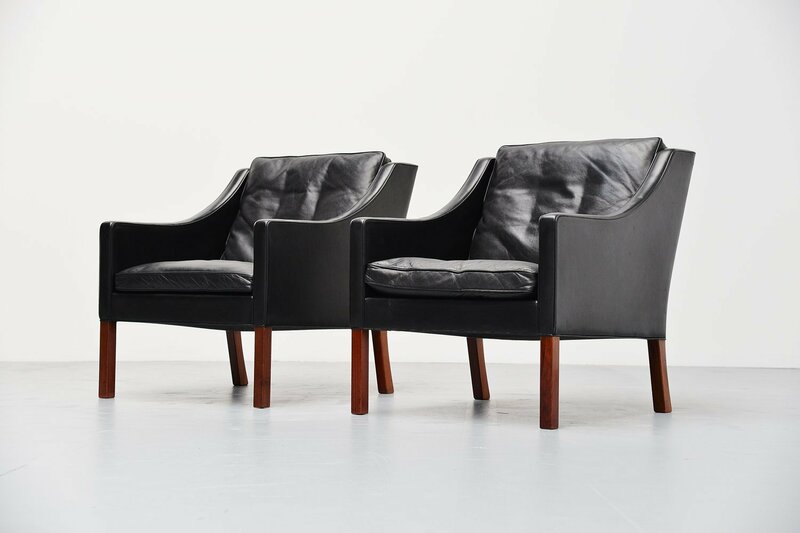 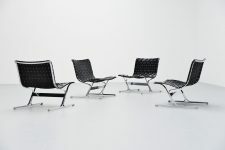 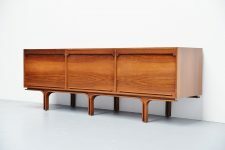 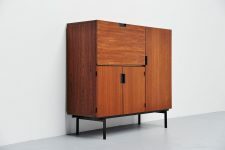 Excellent pair of lounge chairs designed by Borge Mogensen for Fredericia Stolefabrik, Denmark 1963. 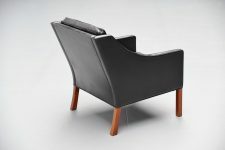 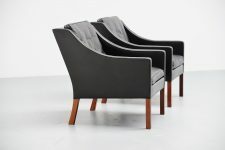 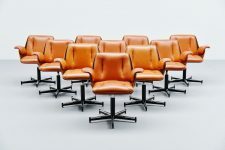 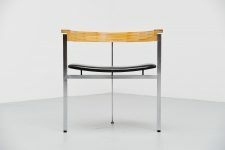 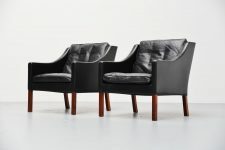 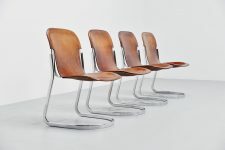 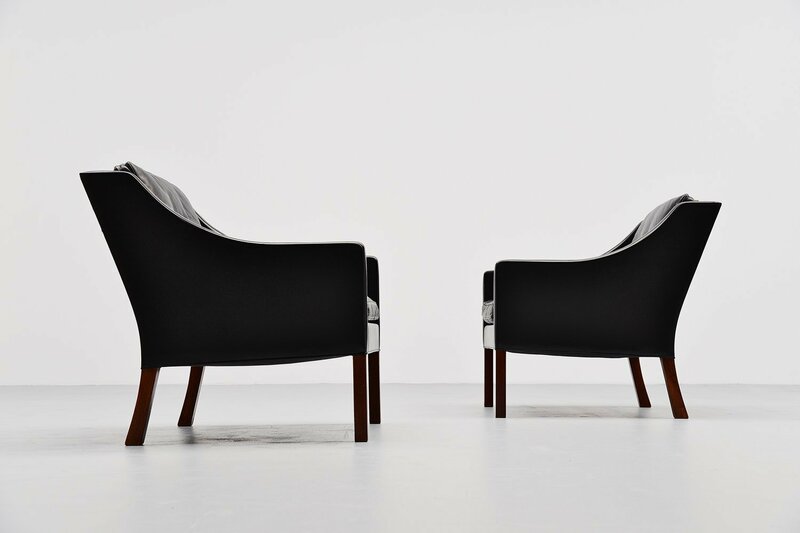 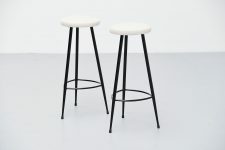 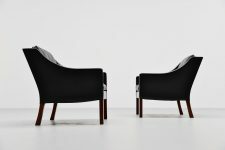 These chairs have high quality black leather upholstery and solid teak legs. 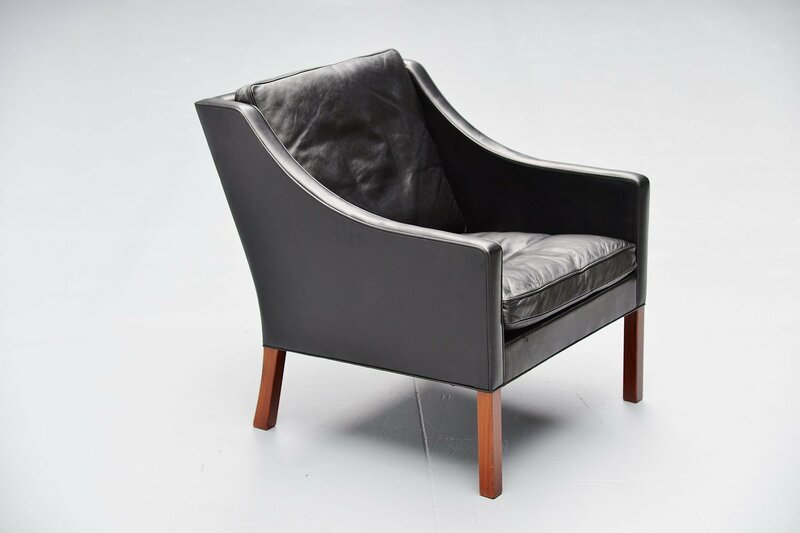 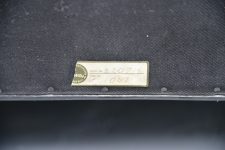 The chairs are in very good original condition with very nice patina to the black leather. 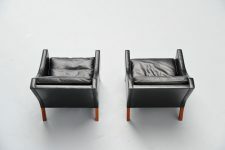 Cushions are filled with feathers and seat very comfortable because of that. 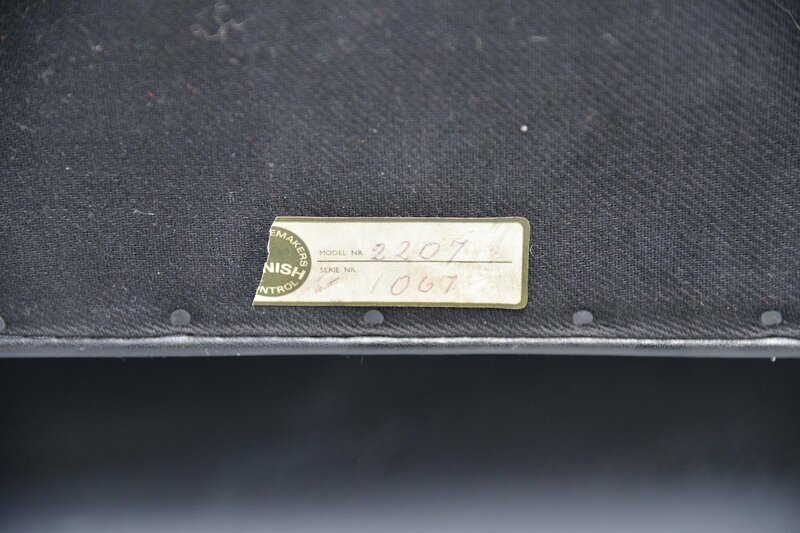 Marked with the Fredericia sticker underneath the seat.